TriHarman-Norfolk has been formed by Mark and Teresa with the invaluable support of local athletes to encourage everyone, regardless of their ability, to take part in the sport of triathlon. Mark and Teresa are Level 3 British Triathlon coaches both having been active in the sport since the early 1990’s and competing up to Ironman distance. They are dedicated to the sport competing themselves and supporting many athletes to achieve their own triathlon ambitions. Having run a very successful triathlon club in Essex for many years prior to relocating they are now bringing this experience to North Norfolk. 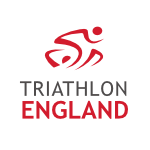 TriHarman-Norfolk will deliver regular coached sessions in all the triathlon disciplines supporting and encouraging new and experienced athletes alike. You can find details here. If you are interested in joining us, you can come along to one of our training sessions or just complete the membership form attached (see link below) and pay the £25 annual membership fee. The benefits of joining will not only be discounted prices to our swim training sessions but also give you access to many free training sessions, such as the Sunday runs, the forthcoming Saturday morning rides, the mini Duathlon and transition training. You will also have access to some top quality coaching to help you develop whatever your current standard. We know there is a strong demand for a triathlon club in the district and we look forward to training and racing with you in 2017.